Kicking off the first episode of the podcast I talk with my friend Allan Branch about his experiences raising his two children while running a software company in Florida. 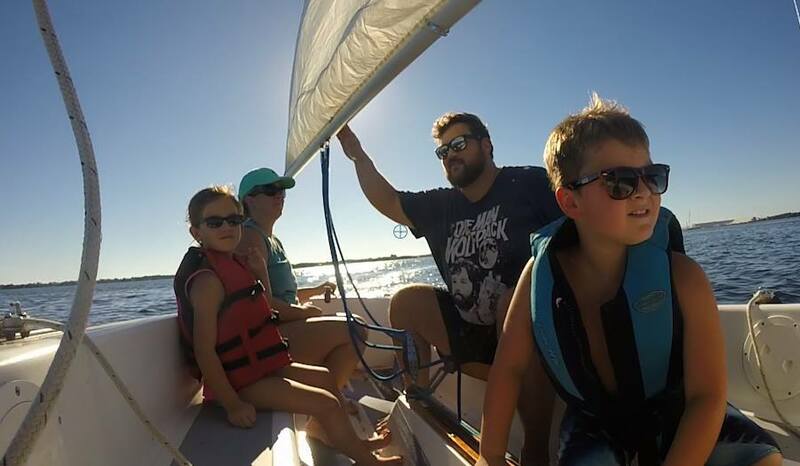 We cover topics of homeschooling, not keeping up with the Joneses, and his desires to travel the world on a boat with his family while teaching his kids how to be curious. Allan has a unique perspective on how curiosity is the key to education and lifetime learning. He weaves that into everything that he does with his children. He has an 8 year old and a 6 year old. In a few years we’ll be looking at schooling options too. As you guys mentioned, information retention is no longer an advantage in (any aspect of?) life. Who even needs to memorize their multiplication tables? We have Google. I’ve always thought teachers took it too personally when students ask “When will we ever use this?” about history or trigonometry. Teachers tended to invent loose applications or obscure examples to feel relevant. I think school really is only teaching kids two things: how to learn-how to solve problems-how to get answers. Google has antiquated a good amount of that aspect of education. The other thing schools teach is social skills: the roles of independence, teamwork, following instructions, taking charge, listening, initiative, appropriate responses, paying attention, eye contact, voice tone and volume, (and more likely in public schools) diversity (in race, income, maybe language, interest in sports or computers or music) and how to treat those people. I’ve heard it suggested that the successful people of the future will be those with the highest developed social skills. As DIY home remodeler you’ve seen how great a plumber, floor installer, drywaller, etc YouTube is. Skilled labor will fade in importance if people have the TIME to be inconvenienced (honestly, they probably won’t and therefor the few people who go into skilled labor will be able to charge even MORE than they do, now). The people that will lead the next generation may be the ones who can manage all the code-writers and get them to work together. These leaders may be the likable people not the IQ people. Adults can’t be trained in social skills and the people that have been raised with them will rise to the top. Not sure where I land on this yet, but as screen time is dramatically increasing networks but also making them shallower, I wonder if social skills may come at a higher and higher premium in the future. As someone who is way more in touch with the tech world, raising kids, and corporate structure than I am, I’m curious what your take is! Information regurgitation will have little value. However knowing systems and how to problem solve is key and that is the core of science/engineering. We don’t have it figured out by any means but for my kids I want to give them certain exposure to things that will help them, namely.